Rediff.com » Business » Can Chidambaram keep his Budget team together? Can Chidambaram keep his Budget team together? In less than five months of resuming charge of the finance ministry, Palaniappan Chidambaram has put in place virtually a new team to take charge of the government's fiscal policy management in the remaining months of its tenure. First, it was Arvind Mayaram, an Indian Administrative Service (IAS) officer, who took charge as secretary in the economic affairs department. Sumit Bose, who was earlier looking after the expenditure department, was given responsibility for the crucial revenue department. This also meant that Finance Secretary R S Gujral, had to be shifted from revenue to expenditure. Mind you, this was not just a shuffling around of a few IAS officers. The more significant changes had to do with beefing up the economic think tank in the finance ministry. Raghuram Rajan, an economist of international standing and whose appointment as chief economic advisor had been cleared earlier, has now taken charge of his new responsibility. And the latest appointment is Parthasarathi Shome as advisor to the finance minister. Shome returns to the finance ministry after working with the British government and the Indian Council for Research on International Economic Relations. In his previous stint in North Block, Shome had done a similar job of advising Chidambaram, who was then the finance minister. While more changes are on the cards with a couple of the current secretaries scheduled to retire soon, the key personnel changes already made by Chidambaram have become a major talking point among bureaucrats for two reasons. One, the changes have been quite swift and are being seen as representing the new order under Chidambaram, ending the legacy of Pranab Mukherjee, who had also run the finance ministry with his own people and in his own way. Two, the finance ministry suddenly looks more refurbished with quality thinkers on economic policy. 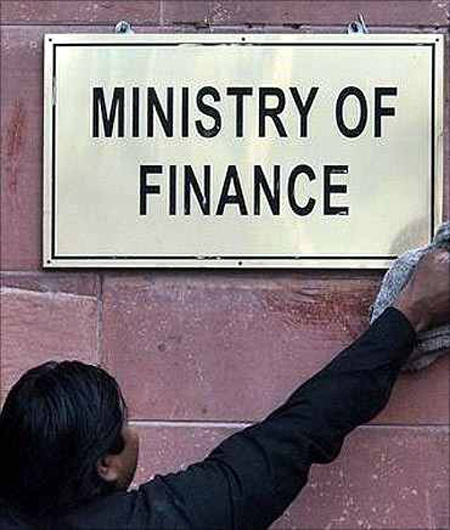 Not that North Block, headquarters of the finance ministry, did not have in the past the benefit of advice from experts and economists brought into the finance ministry from outside the IAS system. Manmohan Singh as finance minister in 1991 had succeeded in getting several bright economists and technocrats to assist him in implementing the early phase of economic reforms. There was Raja J Chelliah, who was an advisor to the finance minister and presented those path-breaking reports on taxation policy reforms that laid the foundation of the first stage of fiscal policy changes. Montek Singh Ahluwalia was shifted from the commerce ministry to join North Block to head the economic affairs department. 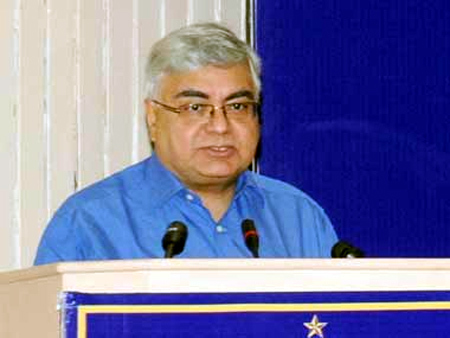 Ashok Desai, an economist with strong pro-reform credentials, was appointed as the chief consultant, who also functioned as the chief economic advisor, till Shankar Acharya joined the ministry. There were also other effective civil servants in key positions in the finance ministry (like K P Geethakrishnan in the expenditure department and M R Sivaraman in revenue), who made the finance ministry during the early 1990s as one of the strongest teams at the helm in North Block. The good thing was that when Chidambaram took charge of North Block as finance minister under the United Front government, the team at the helm did not undergo any major change. Ahluwalia and Acharya, in particular, provided continuity in the management of the fiscal policy and this, no doubt, helped the economy. In the following years, the finance ministry continued to have the benefit of expert advice from several eminent economists and technocrats. Vijay G Kelkar spent a few years as finance secretary and Rakesh Mohan served two stints - one as a consultant advising the finance minister and the other in charge of the economic affairs department. 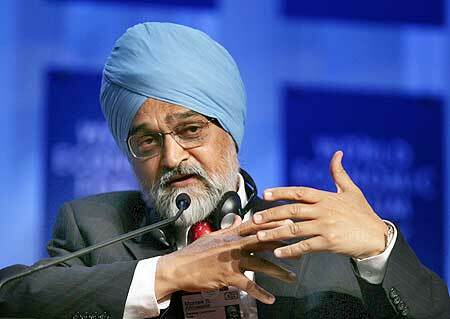 In addition, Ashok Lahiri spent a long stint as chief economic advisor in the first decade of the current century. Immediately after Lahiri left, there was Shome along with Arvind Virmani, an economist who spent long years in economic administration in the Indian government. And then, when Mukherjee was the finance minister, you had Kaushik Basu, who took leave from Cornell University, where he was a professor, and completed a two-year tenure before moving on to the World Bank as its chief economist early this year. As Chidambaram prepares to present the 2013-14 Budget in February, the question that is uppermost in the minds of people keeping a close eye on North Block is whether this will be repeat of what happened twice in the last two decades. When Acharya was brought in as the chief economic advisor, Desai was virtually on his way out. Similarly, when Shome was advising Chidambaram, soon after the latter became the finance minister in 2004, the role of chief economic advisor Virmani was curtailed significantly. Nobody doubts that with both Rajan and Shome in the finance ministry, the finance minister's economic think tank has become formidable and can be the envy of any government. But the big question for which there is no conclusive answer as yet is whether the entry of Shome in the finance ministry will mean a truncated role for Rajan. Old timers recall how Virmani and even Lahiri, in a similar situation, had accepted the equation where they would be happy dealing with the economic division and overseeing the preparation of the government's pre-Budget Economic Survey. The big question is whether Rajan would agree to accept that kind of an equation. 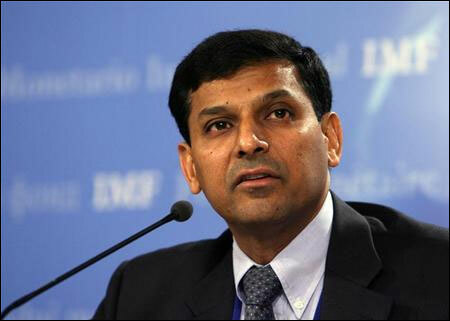 Or, will Chidambaram be able to take full advantage of both Rajan and Shome in his team? Only time will tell if the finance ministry can accommodate two stars at the same time.